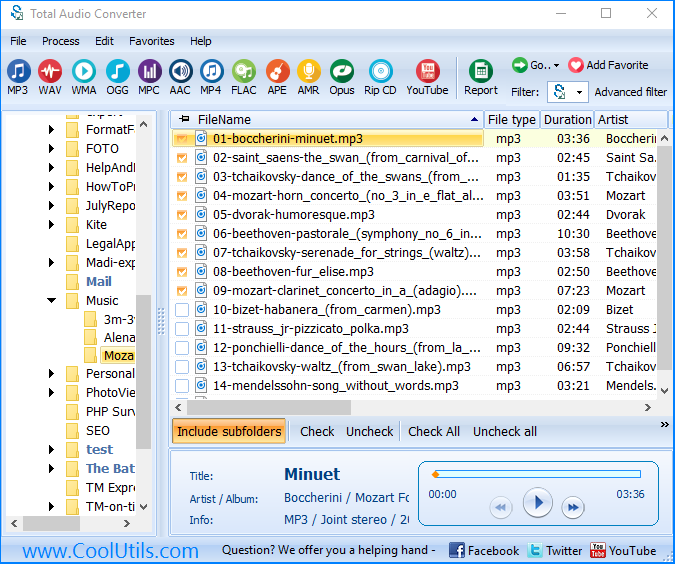 You are here: CoolUtils > Total Audio Converter > Convert FLAC to WAV. Save time, it's easy. Windows XP/2003/Vista/7/8/10 FLAC is one of the most preferable formats for archiving music tracks. It is totally free and provides with good sound quality and compression level. 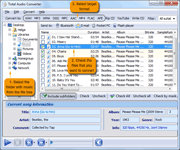 However sometimes it is necessary to convert FLAC to WAV for creating audio CDs to play in old stereo systems or to get the ability of editing music tracks. 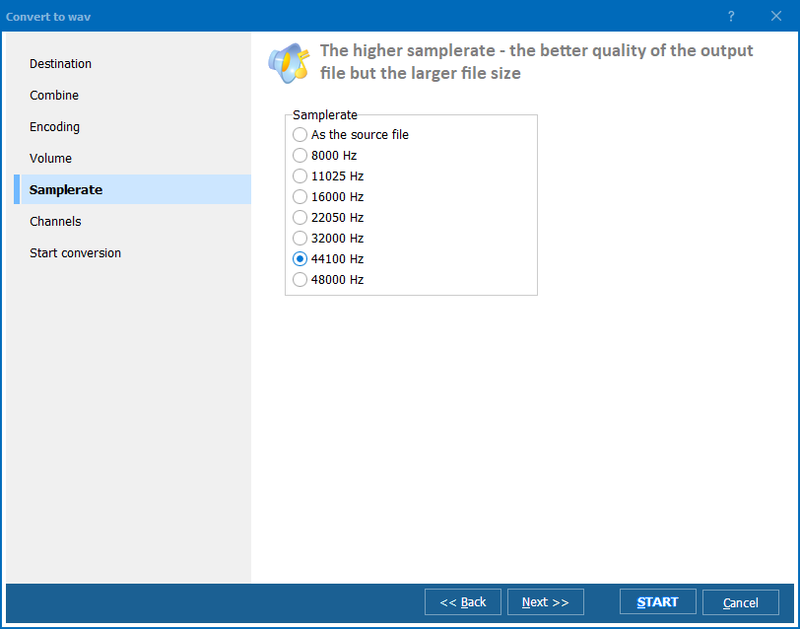 This operation becomes simple and fast if to use Total Audio Converter that supports both FLAC and WAV. 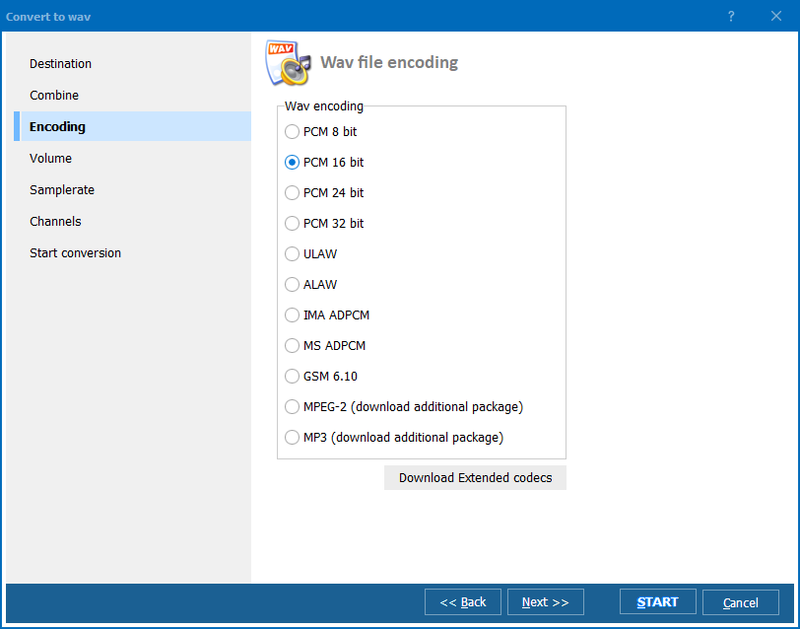 To enable WAV converter you just need to select FLAC source file and click on “WAV” button in the formats bar. 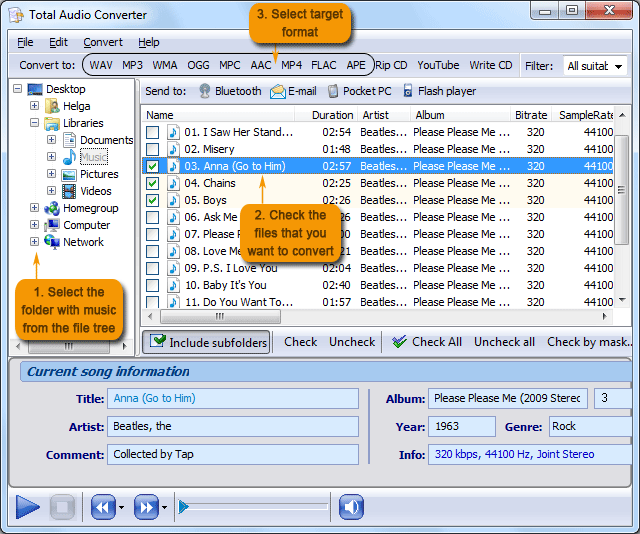 Total Audio Converter has an in-built audio player that is very convenient for selecting tracks you need. When having lots of music it is easy to mix up with tracks and the only way to choose the correct one is to listen to it. When the choice is done a step-by-step wizard will offer you to do the necessary audio settings. The usual set of options like bitrate, channels and simplerate is supplemented by a couple of extra features. For example, you can select a certain fragment of a FLAC track to convert it to WAV.